Ah, college application essays – the necessary evil of college-bound high school seniors everywhere. If you’ve just finished your junior year of high school, then these may very well be in your near future. Since Thomas and Martin have been doing a series of podcast episodes about how to get into college, I thought it would be appropriate to write up an article about how to write a college application essay – one that stands out and that makes a great impression. Don’t worry. I was in your same position four years ago, and I learned a lot through both my own college application process and through my subsequent years as an English major who wields commas like shurikens. Today I’ll share some of that knowledge and teach you how you can craft an essay that really bolsters your overall application. However, while it’s true that the essay isn’t the only thing that matters to college admissions officers, a great essay can actually compensate for less than stellar grades. On the flip side, a bad essay can overshadow all of your other accomplishments. In general, it’s the only part of the application where you have the opportunity to show the college who you really are. Most of the other parts of the application are just lists and statistics: GPA, courses taken, a list of extracurriculars, maybe some work or volunteer experience. This stuff matters…but it doesn’t make you special. This is especially important to note if you’re aiming to attend a very competitive school – everyone applying is going to have a high GPA, a laundry list of advanced classes, and will have been president of every student organization since the dawn of mankind. Also, some of them will secretly be robots. So treat a college application essay as a tool for standing out in ways the robots can’t. It’s a lot like the cover letter you write when applying for a job – it’s your chance to reveal the person behind the accomplishments and statistics. Even if you’re only applying to a couple schools that you know you can get into, it will still serve you well to write a compelling admissions essay. Standing out from everyone else could put you in the running for additional scholarships and will also simply make a good impression, which never hurts. It’s impossible to write an article covering every possible essay prompt you could encounter in the college application process. Just within the U.S., the types of questions vary somewhat among different schools – to say nothing of what you might encounter at schools in other countries. As you can see, these questions are all very open-ended. And they’re supposed to be. Colleges want to give you as much freedom as possible to show them who you are. The prompts are just supposed to be starting points. Trust me, colleges don’t care which question you answer. It’s how you answer it that matters. Whatever application process you’re going through, you’ll likely have a choice of several questions. Don’t get overwhelmed trying to pick the right one. My suggestion is to just read through them and narrow down to one or two that really speak to you. From there, get out a piece of paper and start brainstorming ideas for each. At this point, nothing is off the table. Put down anything you can think of that might work as an essay. The more ideas, the better, as you often find your best ideas only after getting the obvious ones out of the way. Speaking of obvious ideas, the biggest piece of advice I can give about writing college essays is this: avoid the obvious. There are so many ways to succeed at these essays, so long as you keep your approach interesting. And the best way to be interesting is to avoid boring, overused answers that admissions officers will have read literally thousands of times. Anything that comes across as narcissistic. Anything…creepy. I’m not sure how else to put this, but there are some things best left unshared in your college app. Most of all, anything trite. For the most part, it’s unlikely that you’ve experienced anything extremely uncommon in the relatively short amount of time you’ve been a human. Most high school students lead lives that don’t deviate too far from the norm – except that one quiet guy in your class who sits next to the window near the back. He’s almost certainly either a genius mech pilot or the subject of some prophecy in an alternate dimension that he’ll be transported to. Now, it’s certainly possible that you happen to be that guy, and I definitely encourage you to highlight any uncommon experience you’ve had on your essay. For instance, if you’ve climbed Mt. Everest or visited space or helped cure a rare disease, then yeah, you should probably mention that at some point. However, most people don’t have such novel experiences. And that’s just fine. Don’t think that your life is too “boring” to provide material for a great essay. With the right approach, you can still write an essay that wows. Okay, so we’ve covered what to avoid. But what in the world should you talk about? As I mentioned before, it’s best to start with brainstorming. Once you’ve followed the process I described and have a list of, say, 10-15 topics, I recommend doing a bit of free writing for each. If you’ve never done it before, free writing is just taking a topic and writing anything that comes into your head. Just take a blank document or sheet of paper, set a timer for 10-15 minutes, and start writing. It helps you get all the obvious stuff out of your head first. When you begin to write an essay, it’s normal to fall back on clichés. That’s okay to start – it gets you in the flow of writing. But we want to get that stuff out of the way as quickly as possible so we can move on to the not so obvious. When free writing about a topic, you may stumble onto an idea even better than your original. For instance, you might start by thinking you’re writing an essay about how marching band taught you the value of hard work…only to realize halfway through writing it that what it really taught you was the importance of committing yourself wholeheartedly to a goal and following through on it. Clubs you’ve belonged to (or, better yet, started). Organizations you’ve been a part of. Notable accomplishments (for instance, creating your own personal website or blog). Notable experiences (traveling to the North Pole, doing a homestay in another country, meeting the President). Notable abilities (fluency in multiple languages, wilderness survival skills, Iron Chef-level cooking abilities). These are all jumping off points for the essay. They’ll get you started, but simply writing about these things alone isn’t enough. More work needs to be done in order to craft an essay that makes you truly stand out. To do that, you’ll first want to avoid making some common mistakes. Focusing on events instead of feelings. Let’s look at both of these issues in more detail, and then cover some ways of fixing them. Vagueness isn’t a problem unique to admissions essays. It’s something all writers struggle with – including myself; I struggled with it while writing this very article. So why do we have a tendency to write vaguely? I believe the main cause of the problem is that there’s a disconnect between what we know in our heads and what we put down on paper. With all the knowledge you have of a topic, it can seem that a few simple sentences are enough to do it justice – but that’s rarely the case. You have to remember that the person reading your essay knows nothing about you, save for a few basic statistics. Furthermore, they likely know nothing about the subject of your essay. Even if they do, they certainly don’t have the same knowledge and perspective that you have. To close this gap, you need to be as specific as possible. Here’s an example. Let’s say you’ve decided to write about your time in high school marching band; specifically, you’re recounting the first time your performed with the band in front of a crowd (I use this example because it’s something I’m personally familiar with). The first time I marched in front of a crowd, I was so nervous. We got into formation, took the field, and began to play. It was all a blur, and before I knew it, it was over. As I walked off the field after that first performance, I felt prouder than I ever had. It’s not bad – it sets the scene and tells a story, and it even includes some emotional language. But it could be way more specific. The first time I marched in front of a crowd, I was so nervous that I could barely hold up my saxophone. As we stood there on the football field ready to begin, I looked up into the stands and noticed for the first time how huge the crowd was. So many eyes on me. What if I screwed up? Before I had time to think, though, I saw the drum major take the stand and give the signal. I brought my instrument to my lips and did everything just as we had rehearsed. I didn’t even have to think – I just knew what to do. The next five minutes were a blur. After the last note had faded, we turned in formation and marched off the field. Leaving the field that day was the first time I realized the power of devoting everything I had to a goal and following through. See the difference? This second version isn’t going to win any awards, and it definitely needs more work, but the specificity is there. Note all the details. If the person reading this essay had no idea about marching band or music, this description would give them enough detail to empathize with the writer. A good rule of thumb is this: write what you think is enough detail…and then write twice as much. The right amount is probably somewhere between the two. Now we’ve arrived at the second common mistake: describing events instead of feelings. Many admissions essays focus too much on what happened and not enough on how it made you feel and what you learned from it. Remember, you’re not Sergeant Joe Friday writing up a police report. You’re not writing a newspaper article. And you’re certainly not telling your story just for the heck of it. You’re trying to show who you are and what you’re about. To do this, you need to get away from simply summarizing events. For instance, let’s say you spent a summer during your high school years doing a homestay in another country while learning a new language. When writing about an experience like this, it can be really easy to get wrapped up in all the cool things that happened. But you can’t forget to talk about what matters. You need to talk about what you learned, about how this experience changed you, and how it helped form who you are today. Talking about your feelings and the lessons you’ve learned is hard. Especially in a way that doesn’t sound cliche. Once again, the key is to be specific. Want some examples? John Hopkins University has a page full of essays that worked; one in particular, entitled “Breaking Into Cars”, showcases what the writer learned from his experiences well. These are just filler words that we lean on for convenience. To craft an outstanding essay you have to get past these overused descriptions. Proofread, proofread, proofread. Sadly, one of the easiest ways to stand out is to have correct spelling and grammar. Don’t let stupid mistakes pull down the quality of your essay. Proofread this thing more than any essay you’ve ever written. Edit, edit, edit. After you’ve checked for mechanical errors, you need to go back through your essay and edit it. Look for things like consistency of tone, style, and form. Does the way the essay is organized make sense? What could be clearer? What do you need to add? What should you cut? 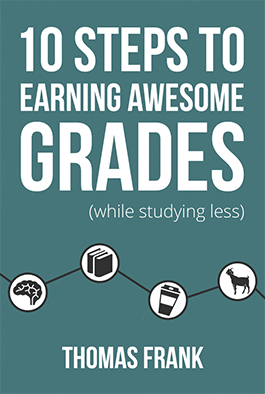 If you need some help, check out this guide from Purdue. Get a second, third, and even fourth opinion. Once you’ve proofread and edited the essay till you’re sick of it, let a few people you trust look over it. Anyone who knows about writing will do. If they’re willing, get one of your English teachers to read it. These people will point out things you never would have noticed on your own. DO NOT PROCRASTINATE. Look, we all procrastinate. It’s part of human nature. But please, please, please do not not procrastinate on your admissions essay. Everything I’ve covered in this article matters only if you give yourself enough time. If you start the day before the application is due, all I can say is good luck. Relax. You can do this. The college application process is stressful, and the essay can seem like an insurmountable hurdle. But you can do it! You’re going to be fine. I hope that after reading this post you feel a bit more confident in your ability to write your college admissions essay. It may feel scary and impossible, but with right approach (and enough time), you can write an essay that showcases your unique personality and impresses admissions officers. What questions do you have about writing college admissions essays? If you’re already in college, do you have any advice for current high schoolers? Share your thoughts in the comments section below, or post about it in the College Info Geek Community.